To keep fingers away from the prop or aide in access to needle valves on cowled engines. You can cut the head off an 8-32 socket head screw and attach it to the end of the needle valve with JB Weld or silver solder. Be sure to rough up both mating surfaces with sand paper before attaching the socket head. I have also seen some guys use a nut and then use a socket to make adjustments. With the 8-32 cap head screw, you will use a 9/64" ball driver to make carb adjustments. 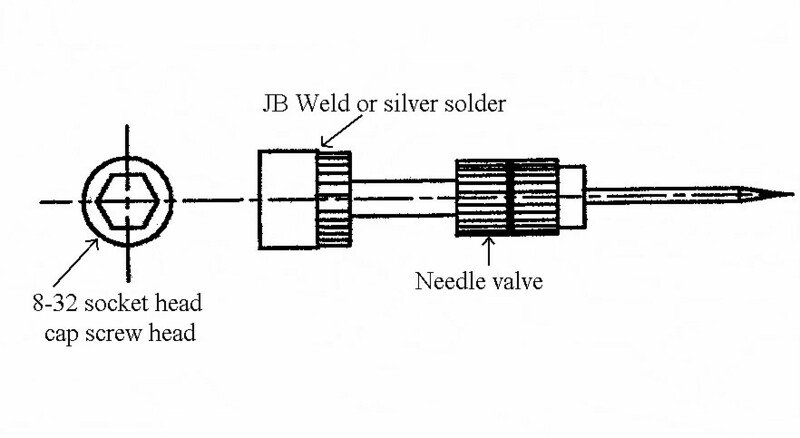 Click here for a larger view of the modified needle valve.